An FBI public corruption probe that has entangled at least two cities in eastern Pennsylvania - and has Philadelphia ties - netted another conviction Thursday, when a contractor admitted trading campaign contributions for preferential treatment from the Allentown mayor. In a hearing in federal court in Philadelphia, Ramzi Haddad of Bethlehem acknowledged raising more than $21,000 this year for Ed Pawlowski's failed bid for the U.S. Senate after the mayor had agreed to intervene and help Haddad with building-inspection issues. Haddad's role in the case had not been previously reported and prosecutors waited until after the hearing Thursday to announce his plea to one count of bribery conspiracy. It followed a similar one last month by the president of Reading City Council, and earlier FBI raids of City Hall there and in Allentown. Pawlowski, who abandoned his Senate bid after the FBI raid, has not been charged and is not identified by name in the court filings. Details about a high-level Allentown official called "Public Official #3" in the documents match Pawlowski's resumé and the dates of his now-defunct campaign. 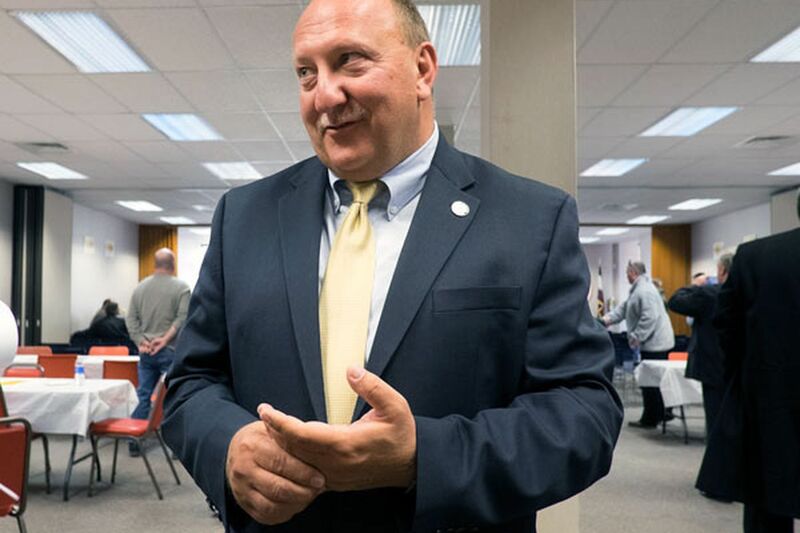 Pawlowski, a 50-year-old Democrat now in his third term as mayor, did not respond to requests for comment Thursday. His Philadelphia-based attorney, Jack McMahon, denied the allegations and said that if Haddad believed the contributions would earn him favors, he didn't get that idea from Pawlowski. "The mayor confronted [Haddad] and told him flat out: 'You're not getting anything,' " McMahon said. "You've got a quid pro quo with nothing alleged and nothing being given." McMahon added that Pawlowski had no plans to resign, because "he did absolutely nothing wrong." Still, the plea raises more questions for a politician who had been widely credited with engineering an economic resurgence in the state's third-largest city, and who also previously had run for governor. According to federal prosecutors' court filings, the unnamed Allentown official encouraged Haddad between April and June to raise money for his federal campaign. In return, prosecutors allege, the official "agreed to intervene with municipal inspections" in one of Haddad's buildings in Allentown. Haddad initially agreed to raise $25,000 in campaign donations before June 30, prosecutors said. When he delivered only $15,000 on June 29, prosecutors said, the Allentown official pressured Haddad to live up to his promise, reminding the contractor of his power as an elected official. The next day, prosecutors said, Haddad delivered two checks totaling $6,500 to the official's campaign. Haddad also paid for the Allentown official's food and drinks during their meetings, prosecutors said. The records indicate Haddad did not personally donate to Pawlowski's Senate campaign. State records show he contributed $5,000 to Pawlowski's mayoral campaign within the last two years. The timing of those donations matches up with contributions the court documents say Haddad made to the Allentown official. Prosecutors said Haddad's plea carries a maximum five-year prison term.